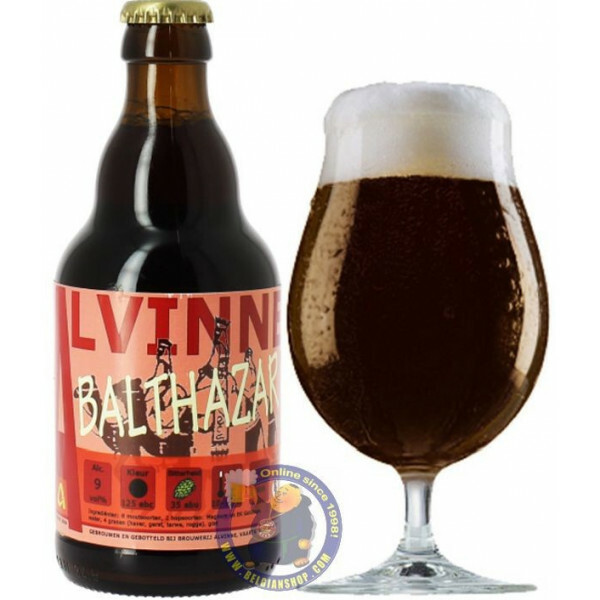 Buy Online Balthazar 9° - 1/3L - Belgian Shop - Delivery Worldwide! Balthazar 9° - 1/3L - delivery worldwide - discount following quantities purchased. 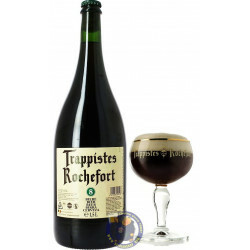 Dark chocolate colour with a chestnut shine, frothy, rich , beige head, which loses its big bubbles quickly, large yeast sediment particles. 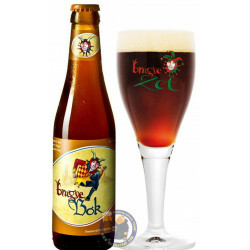 Sweet nose of perfumed chocolate, caramel and hints of strawberries, cinnamon and nuts. 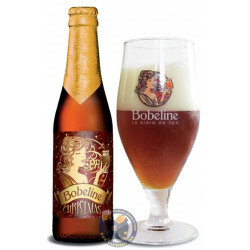 Rich, malty, juicy and somewhat earthy taste with alcohol, hard candies, a touch of pepper and an unassertive but long, hard and dry bitter aftertaste, mixed with cherry liqueur flavour. Chewy and mellifluous palate.